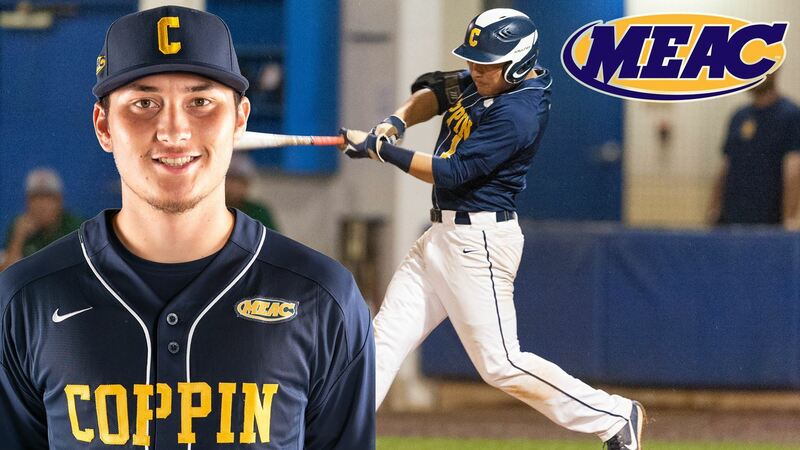 NORFOLK, Va. – Coppin State’s Corey Treyes (West Covina, Calif. / Norco HS) has been named the MEAC Baseball Co-Player of the Week, it was announced by the league office on Monday afternoon. This is the first weekly award that Treyes has received in his career and he shares the honor with Corey Joyce of North Carolina Central. A junior from West Covina, Calif. Treyes led the Eagles to a three-game MEAC series sweep of Maryland Eastern Shore and hit .733 (11-for-15) with eight runs scored, two doubles, three RBI, four walks and two stolen bases from his leadoff position. Treyes started out his week with a 2-for-2 effort in a midweek loss at Georgetown where he also had an RBI, a double, two runs scored and a pair of walks. In the series against the Hawks, Treyes had three-straight three-hit games, scoring three times in game one, twice in game two and once in the finale. Treyes recorded RBIs in games one and three, had a double in game two, drew a walk in the first two games and added steals on Saturday and Sunday. For the season, Treyes leads the Eagles with a .412 batting average, .523 on-base percentage and 21 base hits while tying for a team-high 17 runs scored. Treyes is second on the squad with four doubles and ten walks. The previous week, freshman Matt Day received the MEAC Rookie of the Week award after going 3-for-6 in a weekend series at Charlotte. Day hit two home runs and also drove in a pair against the 49ers. The Eagles (9-6) return to action on Wednesday, March 20 when they host George Washington (11-7) in a 3 pm first pitch at Joe Cannon Stadium.